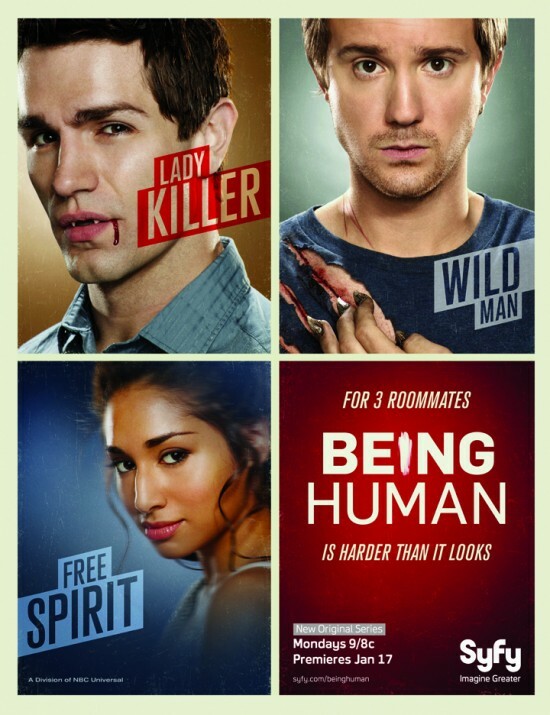 Natalie Chaidez is the show runner for Hunters (Mondays, 10:00 eastern, SyFy). Recently Sean Hutchinson asked her what she was aiming for. Mission accomplished. The aliens on Hunters are not your standard-issue “monsters from outer space.” Monsters, yes, but complicated monsters. We can’t quite tell what they are up to. Bad stuff, yes. But the exact what, how and why of their monstrosity is unclear. I wanted to do something different. That led me to a neurologist from Brown University named Seth Horowitz, and he and I collaborated about the planet, their anatomy, and how they’d operate on earth. It gave it a level of originality because we approached it from the inside out. Why did you want to dive in and be that thorough if most people won’t know those details? Because it’s fun! But you also just want to know so it feels cohesive. 90 percent of the stuff Seth and I talked about will probably never make it into the show. This is interesting because it breaks a cardinal rule of the old television. And this is do exactly as much as you must to fill the screen…and not a jot more. To invent a world and leave 90% of it un-shot, well, we can just imagine the reaction of a standard-issue producer. The parsimony rule helps explain that dizzying sensation we get when we go to a TV production or a film set, and notice how “thin” everything is. Not rock but papermache! Not an entire world but just enough of it. An universe made to go right to the edge of what the camera can see, and not an inch beyond. What Chaidez and Horowitz have done goes completely beyond requirement. They made an entire world, much of which we will never see. This could be a case of the recklessness of the new TV. With the rise of the showrunner, people are no longer making TV as half-hour sausages. They have bigger ambitions and sometimes bigger pretensions. Budgets will bloom! Or is there something going on here? The “whole world” approach is a great way of turning viewers into fans. The moment we detect a whole world behind the narrative, we rouse ourselves from couch potato status and begin to examine faint signals very carefully. What does this stray remark tell us? If X, then we can assume the larger world looks like this. But if Y, we can construct something altogether different. (Remember when Star Trek viewers began to map the ship. The showrunners were astonished.) This is astounding engagement, one that every showrunner dreams of. And all we have to do, it turns out, is engage in complete acts of invention instead of “good enough for television” ones. And “good enough for television” (aka “partial world” TV) is a place no one wants to live anymore. It’s always less than the sum of its parts. That way lies creative entropy and fan discouragement. 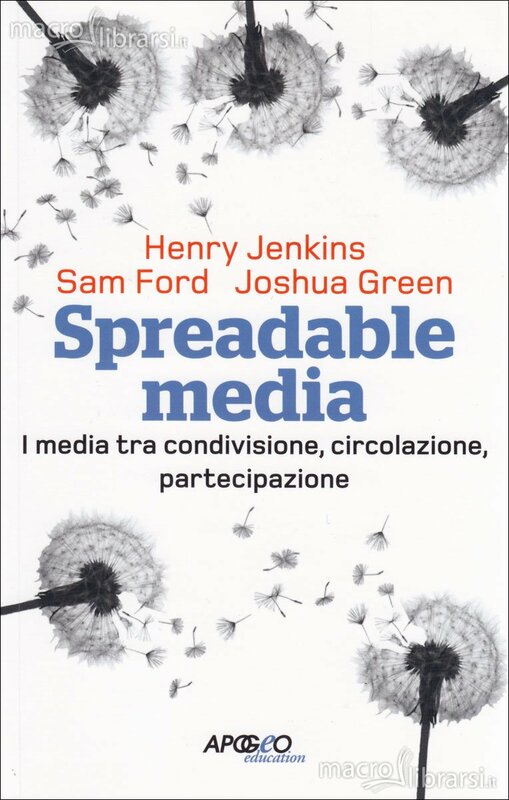 As Henry Jenkins has helped us see, transmedia is that extraordinary creation in contemporary culture where certain stories are so prized, they attract many authors. Eventually, the “one true text” gives way to a story that lives in all its variations, on all its media. Now that our whole world is generating lots of fan fiction, it has like William Gibson’s Mona Lisa, slipped the confines of a single medium and put out into a vastly larger imaginative universe. Another paradox then. World worlds give rise to an entire universe. No, our cigar chomping producer cannot “monitize” all these variations but really that’s no longer the point. This will come…but if and only if you make something that our culture decides is worthy of its contributions. The life of a cultural “property” depends as Jenkins, Ford and Green say, on the willingness of the fan to distribute it. But as I was laboring to say yesterday, it also depends on the willingness of the fan to contribute to it. It’s hard to write this post and not think how much it evokes the spirit of USC. First, there’s Henry Jenkins, Provost Professor of Communication, Journalism, Cinematic Arts, and Education at the USC Annenberg School. Then there’s Geoffrey Long, recently appointed Creative Director for the World Building Media Lab at USC. Geoffrey is my guru when it comes to the question of building worlds. And just today, I got the very good news that Robert V. Kozinets has been appointed the Jayne and Hans Hufschmid Chair in Strategic Public Relations and Business Communication at USC. I am sometimes asked where people should go to study contemporary culture. Now I know. This entry was posted in culturecamp, Uncategorized and tagged Aliens, culture, Geoffrey Long, Henry Jenkins, Hunters, monsters, Natalie Chaidez, Robert Kozinets, Sean Hutchinson, Seth Horowitz, SyFy, TV on April 21, 2016 by Grant. This is an insider ad. You have to know the show to get what’s happening. These are werewolves. They’ve gone into the woods to “turn.” The brand has found the spirit of the show and “had a little fun with it.” Romantic feeling is imposed on something that will shortly turn nasty and violent. Clever. 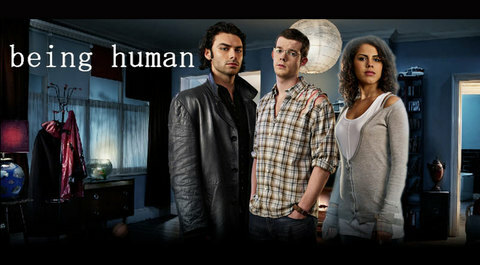 And this is absolutely in the spirit of Being Human which plays with genre expectation constantly and well. 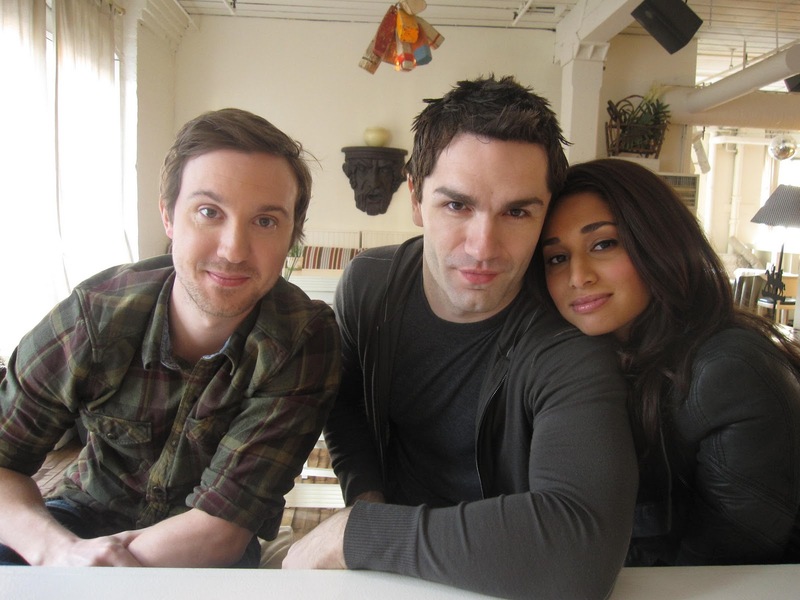 Here is Being Human in action. In this scene, Sally, the ghost, discovers that her house is up for sale and she decides to discourage home buyers with a ghostly trick. Ooooooooooo! In this scene, remember, she is invisible. Generally speaking, Subaru has done a great job claiming a nest of companionable, cozy, domestic meanings for the brand. It has attached itself to “family” as well as any brand in the biz. (And that’s saying something, considering that so many brands are trying to make this connection.) Recall the Subaru ads that feature dogs aging and kids practicing for their driver’s license. This is great work but it may leave the Subaru brand defined as something perhaps a little too domestic and of-this-world. The Being Human work manages this problem beautifully. A brand that verges on the humble and everyday becomes suddenly exotic and even daring. The Subaru meanings expand wonderfully. Notice how elegantly this is accomplished. The Being Human work is site-specific and exists, in effect, only for the Being Human audience. There is no danger that the broader Subaru market will see this work and no danger that it will transform their “cosy” associations with the brand. This is brand surgery. Another thing I like about this approach is that it is the opposite of product placement. Instead of jamming the product into the show, the show is allowed to find its way into the “brandscape,” to use John Sherry’s term. And both the show and the brand profit. Product placement is often an absolute tax on a show. You know that moment when the appearance of the product suspends your suspension of disbelief. You might as well stop watching and thousands no doubt do. I don’t care how much the show makes from product placement. In many cases, the artistic price is too high. Plus, as a strategy, this is just plain dumb. It says in effect, “People aren’t watching our ads! Ok, so let’s force them to look at the product! We’ll make them watch us!” You’ll make them watch you? This is your idea of persuasion. This is your idea of managing meanings? Really? This execution feels wrong to me and it serves I think as a useful test of where this strategy can work and where it fails. When the ad is merely leveraging the creative original, it feels like a pale imitation and it provokes, I think, a relative loss of value. By which I mean, more is taken from the show than is returned to it. The brand is merely exploiting the dramatic riches of Being Human and not taking possession of them for larger creative play. In the immortal words of T.S. Eliot, “bad poets borrow, good poets steal.” This spot borrows where the first one steals. This is not as bad as product placement but it isn’t a lot better. Carmichael Lynch, the agency in question, has done great things for Subaru. There is a cultural sensitivity at work here that really is exceptional. And our opening “werewolf” ad breaks new ground. Letting the brand out to play in an ad, in this way, is to let the brand out to play in the world. And this is one of those cases, where brand and ad are working together, borrowing meanings from one another, to their mutual benefit. Both brand and show get bigger, richer, and more interesting. But what might be more remarkable is the fact that the Carmichael Lynch work takes Subaru almost no other automotive brand is prepared to go. This is daring. It is clever. It participates in popular culture. It makes the brand a living, breathing presence in the life of the consumer and our culture. It takes the brand a little closer to being human. I am hoping Carmichael Lynch will send me names of the creative team so that I can give them a mention for this really exemplary work. Watch this space. This entry was posted in Uncategorized and tagged ads, advertising, brand surgery, branding, brands, Carmichael Lynch, cultural sensitivity, culture, Dean Evans, ghosts, John Sherry, product placement, Subaru, SyFy, T.S. Elliot, werewolves on March 21, 2014 by Grant.